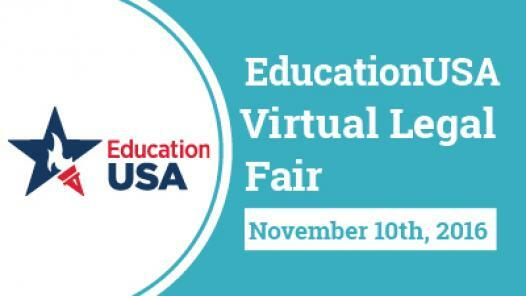 American University (AU) - Washington College of Law (WCL) - Find Your LL.M. 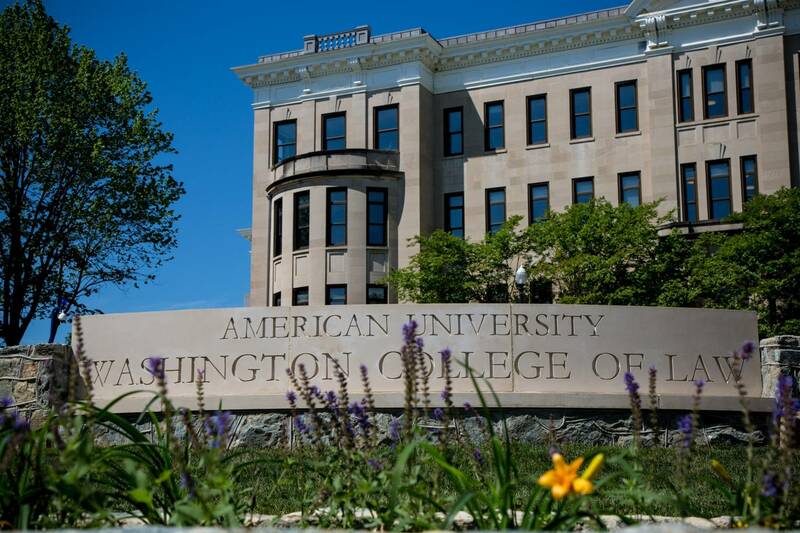 American University Washington College of Law was founded more than 100 years ago by two pioneering women - Ellen Spencer Mussey and Emma Gillett - at a time when women were generally excluded from the legal profession. The founders created a tradition of providing opportunities for those historically outside the mainstream of the legal professions, and their perseverance has formed the foundation for this law school. 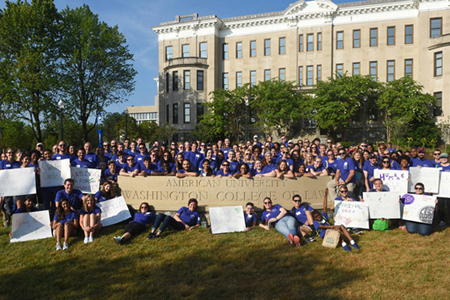 Today, American University Washington College of Law is more than a leading law school; it is an environment of opportunity – a uniquely collaborative place where students, faculty, and alumni come together to form a community committed to seeking knowledge and justice. A combination of rigorous classroom training and intense practical experiences prepare our graduates for the challenges of real-world practice and provide a wealth of opportunities within the Washington, DC legal community and across the globe. 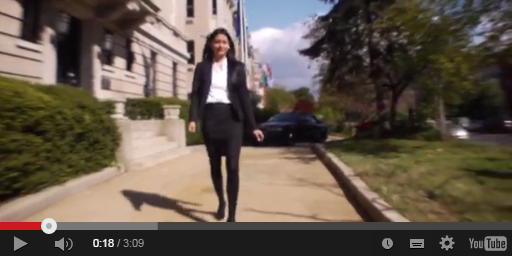 Attend American University Washington College of Law’s summer programs in D.C. and abroad. Students and practitioners alike will benefit from the intensive training, expert instruction, and networking opportunities with influential people in all areas of the law. Specialized Summer Programs in D.C. Judicial Reform in Latin America and the U.S.
At the Washington College of Law, you meet the world where you will practice your profession. The world has become essentially borderless, where economic, political, and social changes require innovative legal analysis and solutions. The Washington College of Law (WCL) equips students in unique ways to navigate this new reality. A top law school that provides an excellent legal education in all areas of the law, WCL has renowned programs in experiential learning (clinics and externships), international law, law and government, intellectual property, business, and gender. These vital programs create an environment rich with opportunities for you. Our location and diverse student body creates possibilities from the first day you step onto our campus. 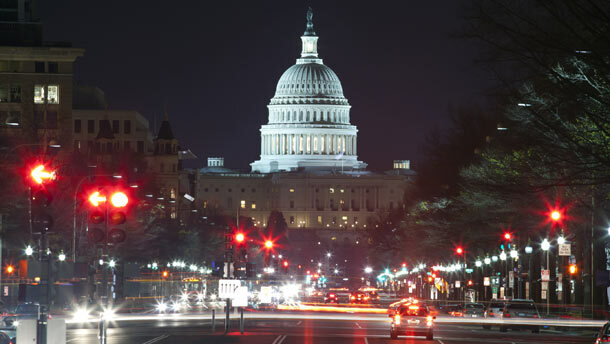 Washington, D.C. opens up unparalleled opportunities as the site of the branches of government, administrative agencies, international organizations, think-tanks, lobby groups, and numerous public interest and non-governmental organizations. You will find many WCL graduates serving in all of them. Our students take advantage of our extensive Supervised Externship Program and opportunities to participate in legal research and litigation. JD students may take upper-level courses with our LL.M. students, learning side by side with more than 180 practicing attorneys from around the world. You can participate in numerous student organizations and journals, such as the Business Law Brief and the Human Rights Brief; outreach groups such as the Marshall-Brennan Fellowship Program (where students teach constitutional law to local high school students); and a variety of other activities in business, human rights, gender, intellectual property and environmental law, to name a few. If your aspirations also involve fields outside the law, you can pursue dual joint degrees that we offer with three professional schools at American University-the School of International Service, Kogod School of Business, and the School of Public Affairs. From law and government to business, your opportunities here are endless. We have made our curriculum qualitatively different. WCL cares about teaching. Numerous faculty members engage in projects to develop integrated teaching. This allows our students, from their first year of legal education, to understand the theoretical underpinnings of the law as well as how a particular client interest is affected by multiple fields of law using a joint syllabus so that students can see the transcurricular aspects of their education. We foster an atmosphere based on access to the faculty, commitment to your success, and motivation for the study of law and the practice of the profession that we have all chosen. In the first year, each section is kept small with usually fewer than 80 students, an extraordinary accomplishment for a school of our size. WCL's small classes, a curriculum that offers access to numerous fields of specialization, and sophisticated resources for technology and education ensures a first-rate educational experience. Our students are qualitatively different, too. Many care passionately about important issues, from the state of public education to human rights, access to legal representation, gender and ethnicity, environmental challenges, labor issues, and the development of intellectual property and business law. Our students see themselves as scholars, exploring and publishing in every legal field, while others delve into opportunities for advocacy-working on our Innocence Project cases, filing Supreme Court amicus curiae briefs, and teaching constitutional law to area high school students. Experiential learning for everyone, through clinics or externships, gives you a taste of the practice of law, and demonstrates our commitment to the development of skills and values so crucial for the legal profession. Matthew Pascocello offers comprehensive career counseling services to the WCL alumni population including assistance with resume and cover letter writing, mock interviews, and job-search strategy sessions. If you would like to schedule an in-person or telephonic appointment, please use the appointment feature on the homepage of your CareerLink account. (See 'Job Postings' for instructions on how to obtain a CareerLink account). 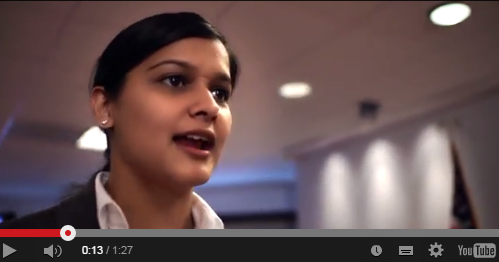 The students at American University Washington College of Law come from all over the world. Each year we have over 200 lawyers representing over 50 countries in the LL.M. programs. The diverse faculty and student body offer many opportunities for students to thrive academically and socially. Each semester the LL.M. programs plan many events, discussions, and conferences that allow students to not only socialize, but network with faculty members and legal professionals in the field as well. The LL.M. program offers the opportunity for students to join an LL.M. board, a group of students who plan social events and conferences. The students on the LL.M. Boards are a great resource for our newer LL.M. students, and the events planned by the LL.M. boards offer great ways to meet friends. The LL.M. Programs are not specifically designed as a U.S. bar exam preparation course; however, after graduating from the program, many of our students sit for the New York bar exam. We urge students interested in taking a U.S. bar exam to review the Comprehensive Guide to Bar Admission Requirements, which lists the bar eligibility requirements of the 50 states and the District of Columbia. The guide is published by theNational Conference of Bar Examiners. Information about the New York bar is available at www.nybarexam.org. Foreign-trained attorneys should pay particular attention to Rule 520.6 of the Court of Appeals for the Admission of Attorneys and Counselors at Law and to the pre-LL.M. education requirements. Foreign-trained attorneys must submit an evaluation of their foreign credentials up to one year in advance of sitting for the New York bar exam. Foreign-trained LL.M. students who wish to take the New York Bar Exam must complete at least 12 credits of required classes of the 24 credits needed for the LL.M. degree. All students must take American Legal Institutions, Legal Research and Writing, and Legal Ethics as well as 6 credits of approved coursework which will vary by program and semester. Approved courses may include U.S. Business Law, U.S. Constitutional Law, and U.S. Criminal Law to name a few. For a complete list of approved courses for each program, please visit the individual program websites. Because of these increased requirements, students who are opting to sit for the New York bar exam may be limited in their other course selections. We encourage all students to discuss your course of study and the various requirements for the LL.M. and the New York Bar with your academic advisor. Students interested in sitting for the D.C. Bar Exam are required to take 30 credits over 3 semesters in the LL.M. in Law & Government. All students must take American Legal Institutions and Legal Research and Writing as well as 26 credits of approved coursework which will vary by semester. These courses have been pre-approved by the D.C. Bar examiners. Final approval to sit for the bar rests solely with the D.C. Bar examiners. Please review the complete eligibility requirements and consult with the Program regarding course selection. Please Note: Due to the online component, students who receive the LL.M. in International Human Rights & Humanitarian Law will not be eligible to sit for a bar exam. All courses must be completed in residence at WCL in order to qualify for the bar exam. 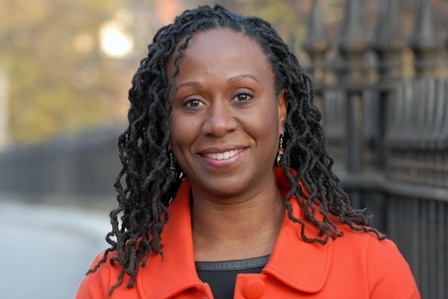 The New York bar only allows 4 summer credits to be applied towards the degree. No online courses are permitted and the entire LL.M. program must be completed within 24 months. Tuition and fees for the LL.M. programs are calculated on a per semester or per credit rate. Students taking 12 or more credit in a given semester are charged a flat tuition rate of $25,061. Students taking less than 12 credits in a given semester are charged the per credit tuition rate of $1,856. To earn an LLM, students must complete 24 credit hours. International students requiring an F-1 or J-1 visa: in order to satisfy visa requirements, students must be registered for a minimum of 8 credit hours per semester. Other visa statuses may have other requirements. Student seeking U.S. Financial Aid: financial aid through the U.S. government is only eligible for U.S. citizens or permanent residents. For financial aid purposes, full-time enrollment refers to 12-17 credits per semester. Enrollment in 6 credit hours per semester (including summer) is required for financial aid. *Direct loan fees apply to only U.S. citizens or permanent residents who are taking out government loans. **Unless specifically requested to waive the health insurance, students will be charged for it. In order to waive the AU health insurance, all students must present proof of a comparable plan to the Student Health Center. Information on how to waive the AU health insurance is provided here. NOTE: all full-time international students on a visa through American University are required to have health insurance. The Cost of Attendance (COA) is an estimate of educational expenses for the nine-month academic year. Federal law limits COA allowances to the amounts necessary to cover institutional charges and a student lifestyle and may vary from actual costs. The housing allowance assumes a shared accommodation. In determining how best to cover expenses, consider the budget in its entirety with thought of adjusting expenses in one category to meet costs that may be higher in another. While the cost of attendance cannot be increased to meet obligations beyond those specified, consideration may be given to documented unusual or unexpected expenses. Cost of Attendance figures are usually updated in early spring for the upcoming fall semester. Tuition charges are subject to change each academic year. The payment of all tuition and fees for students is handled through the University's Office of Student Accounts, and is subject to the rules and regulations of that office. Students who fail to meet the payment due date will be assessed a late registration fee. 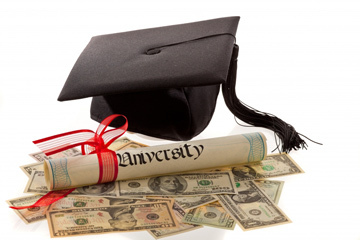 The university offers deffered-payment plans if needed. HOUSING: There is no on-campus housing provided for graduate students; however, there are many off-campus housing options ranging from single/shared apartments to room rentals. Average costs for students sharing accommodations range from $800 to $1,200 per month. Normally, students must also rent or purchase furnishings, such as furniture and cooking utensils. Students planning to live alone should expect to pay at least $1,000+ per month. Housing resources (including video tutorials on Washington, DC) are provided to all incoming students to aid in the housing search. Additionally, International Student Orientation programs, held at the beginning of each academic semester, provide workshops designed to aid students in their housing search. SPOUSES & CHILDREN: Married students who plan to bring their families should add at least $5,500 for their spouse and $4,000 for each child per year to their annual living expenses (includes insurance costs). The chart below outlines the scholarships currently offered by the respective LLM programs. If you have additional questions regarding the application or your eligibility, please contact the Office of Graduate Admissions at llm@wcl.american.edu. NOTE: No scholarship application can be reviewed until the Office of Graduate Admissions receives a complete LLM application. Please visit the Applications Procedures page to ensure that you are submitting all of the necessary documents. General Eligibility: Scholarship applications are open to all incoming LLM students. Current LLM students are eligible to apply for the Need-Based Scholarship, though preference is given to new students. Deadlines: All scholarship applications should be submitted by the following deadlines, with the exception of the Need-Based Scholarship application. Due to visa requirements, the LL.M. Programs have an earlier application deadline for all international applicants who need to a request a visa. *Under certain circumstances, the program can extend the application deadline for U.S. citizens and Permanent Residents. Please contact the Office of Graduate Admissions directly to see if you qualify for this exception. Due to visa processing times, any applicant requiring a visa must adhere to the posted deadlines. There are several ways to apply to the LL.M. Programs. Applicants should choose one method for applying. Please apply directly to the program in which you are interested. If you would like to be considered for more than one program, please email the Office of Graduate Admissions directly. While the online application options are strongly preferred due to ease of processing, students who have difficulty accessing the online options may submit a paper application. Please note that LSAC charges a $75 registration fee to use the online application system plus additional fees for processing international transcripts. These fees apply only to LSAC services – applicants will still need to submit the LL.M. Program application fee of $55. All applicants must submit the following information in order to have a completed application. Please note that applications will not be reviewed until all materials are received. Admission decisions are made on the basis of all information provided in a completed application. Please review the individual LL.M. Program pages for program specific information and academic requirements. On my first day as dean of American University Washington College of Law, I want to let you know how honored and very excited I am to be joining this community of engaged faculty, administrators, and alumni leaders who are dedicated to serving the needs of our student body. The breadth and depth of faculty expertise, combined with administrative excellence, create an exceptional learning environment. It is indeed a privilege to be joining American University Washington College of Law, especially at this time. WCL is well situated for the future of legal education, and will continue to provide a high-impact educational experience to our students. 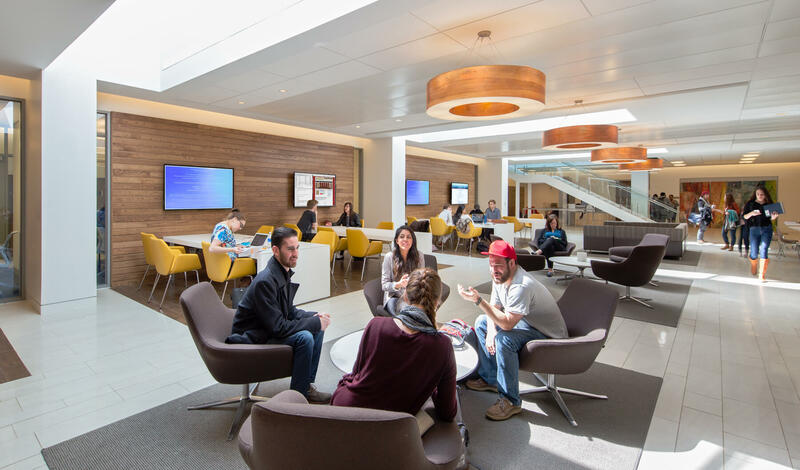 Our new Tenley Campus is an unparalleled complement to the look and feel of 21st century legal education and an ideal showcase for the student, faculty, and administrative talent in our law school. This is a community of caring leaders who utilize their diverse expertise and vision in furtherance of justice in myriad ways, and in multiple national and international venues. I am grateful for the leadership of past deans, most recently Dean Claudio Grossman, whose dedicated stewardship has continued the tradition of excellence at American University Washington College of Law. As we prepare to welcome the first incoming class to spend a full year at our outstanding new law school campus, I know our community will continue to cultivate our connections with all Washington, DC has to offer, as well as enhance affiliations beyond the region, in order to provide students and alumni with the experiential opportunities, networks, and resources they need in a competitive legal marketplace. 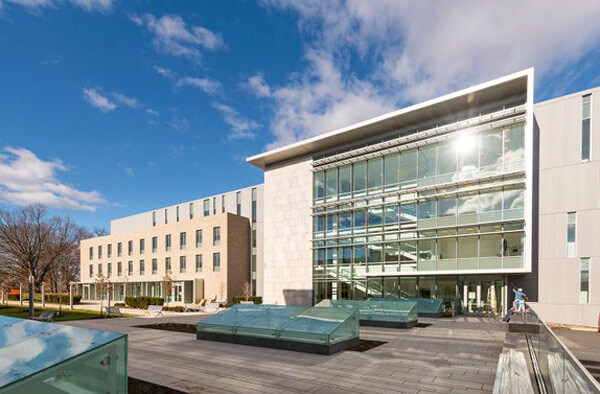 Our improved location and facilities will only continue to advance our school's top programs in international law, clinical legal education, trial advocacy, intellectual property, law and government, criminal law, business law, and much more. I have enjoyed meeting many of you, and I know in the weeks and months ahead I will have the chance to get to know you better, and learn about your journey and experiences. Your input will be invaluable as we move forward during what remains a challenging, yet energized, time for law schools, legal education, and the profession as a whole. I look forward to working with you in service of our students and alumni as we navigate these dynamics together. Thanks to your engagement, dedication, and expertise, I am confident that American University Washington College of Law is poised to lead, and pursue many opportunities presented in the years ahead. It is an exciting time to be a part of this tremendous community! American University Washington College of Law offers LL.M. programs in Advocacy, Intellectual Property Law, International Human Rights and Humanitarian, International Legal Studies, and Law and Government. Each program is a 24 credit degree (roughly 8 – 10 classes) and can take from 1 – 2 years to complete. 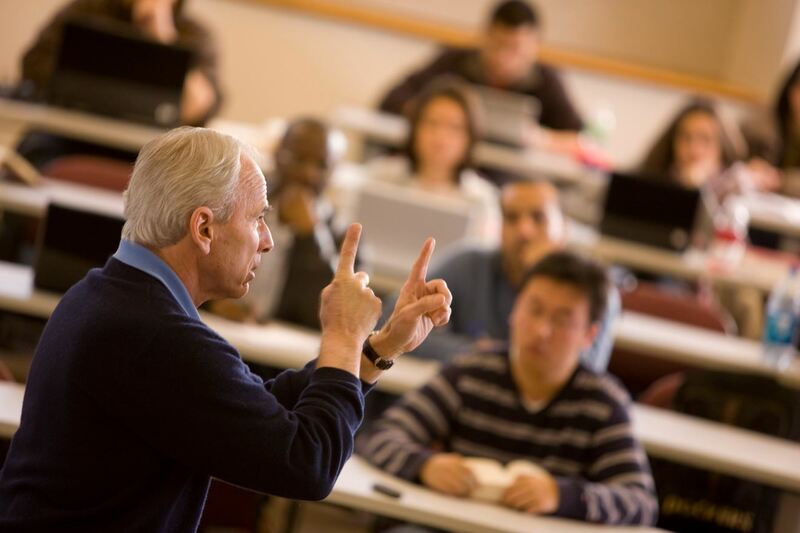 If your aspirations also involve fields outside the law, you can pursue dual degrees that we offer with three professional schools at American University—the School of International Service (LLM/MIS), the Kogod School of Business (LLM/MBA), and the School of Public Affairs (LLM/MPP and LLM/MPA). This is what defines the Master of Laws Programs at American University Washington College of Law (AUWCL). 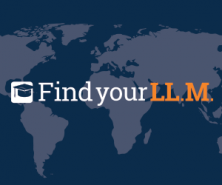 Designed for both international and domestic law graduates, the LL.M. Programs at AUWCL offer students the opportunity to immerse themselves in a rich academic environment through law courses and seminars, experience the legal community in D.C. through externships, and create a lifelong network with esteemed faculty, classmates, and a global alumni community. We invite you to explore our Programs and rich course offerings below. Join our community and Champion What Matters anywhere in the world. American University Washington College of Law is a dynamic law school at the center of policy, business, and all things international. We are a law school of over 1,700 JD, LL.M., and SJD students who Champion What Matters. Founded on the principles of humanity, diversity, and equal rights, the law school community incorporates these values into everything we do within our walls and around the globe. We offer more than 20 specialized programs including international law, human rights, law and government, intellectual property, business, and gender studies. The law school is proud of our nationally recognized programs in intellectual property, international law, and public interest law. Our location in Washington, D.C. opens up extraordinary internship and employment opportunities within branches of government, international organizations, private and public interest law firms, and non-governmental organizations. What’s more, you will be surrounded by a community of students and faculty that encourage and inspire one another. 1. Established in 1896, the law school was the first to be founded by women, becoming a part of American University in 1949. 2. Its innovative legal education includes real-world experience through a nationally acclaimed clinical program and externships. 3. Students benefit from opportunities within government, international organizations, public interest and nongovernmental organizations, and more. The Master of Laws in Advocacy (Advocacy LL.M. 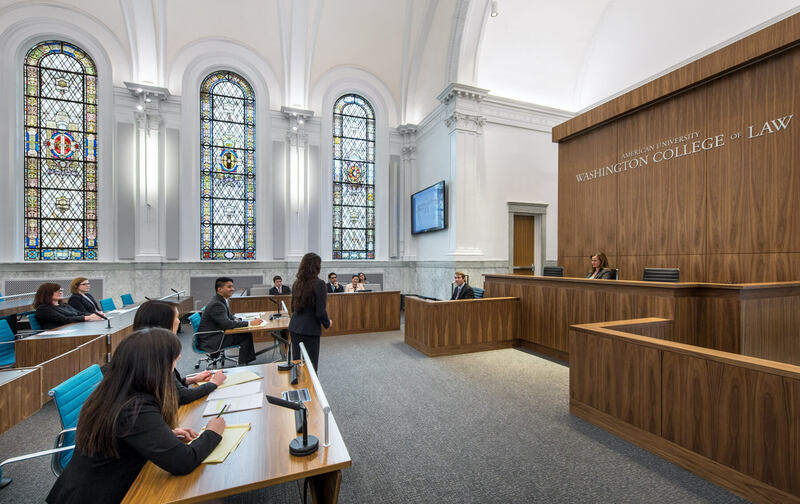 Program) at American University Washington College of Law, administered by the law school's Stephen S. Weinstein Trial Advocacy Program, combines a rigorous academic component and a breadth of practical litigation training. The Program offers an array of courses, externships, and opportunities to pursue legal scholarship and gain teaching experience. Important focuses of the Advocacy LL.M. Program are the use of modern technology in litigation and the training of ethical trial lawyers. The Program's innovative curriculum will aid graduates in preparation for all aspects of litigation. The LL.M. in International Human Rights and Humanitarian Law unmistakably addresses the need for specialized training in international human rights law in the United States and around the world today. The creation of the LL.M. in International Human Rights and Humanitarian Law as a hybrid master’s program, with both on-site (residential) and online components allows for a high quality curricular offering with a flexible and convenient format. Additionally, students will interact with more than 40 world renowned experts, including human rights and humanitarian law experts coming from academia, international tribunals, civil society organizations, and international organizations. *El LL.M. en Derechos Humanos y Derecho Humanitario es el único que tambien ofrece un currículo híbrido en derechos humanos en Estados Unidos en español. 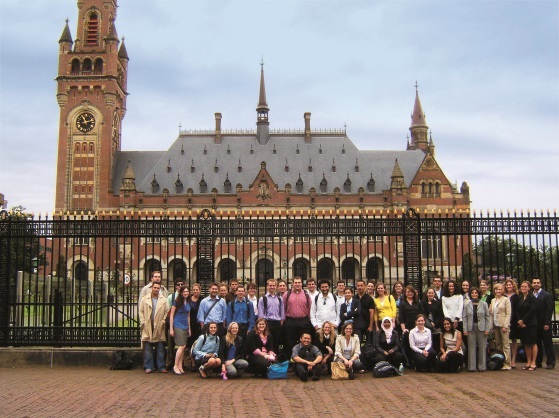 With students from over 50 countries, the International Legal Studies Program is one of the top LL.M. programs in the country and has been at the forefront of international legal education for over 30 years. The flexible curriculum includes 8 different areas of specialization ranging from human rights to intellectual property to business and trade. A program 30 years old and still growing, the ILSP was established in 1982 in response to a growing demand for lawyers trained in international law. 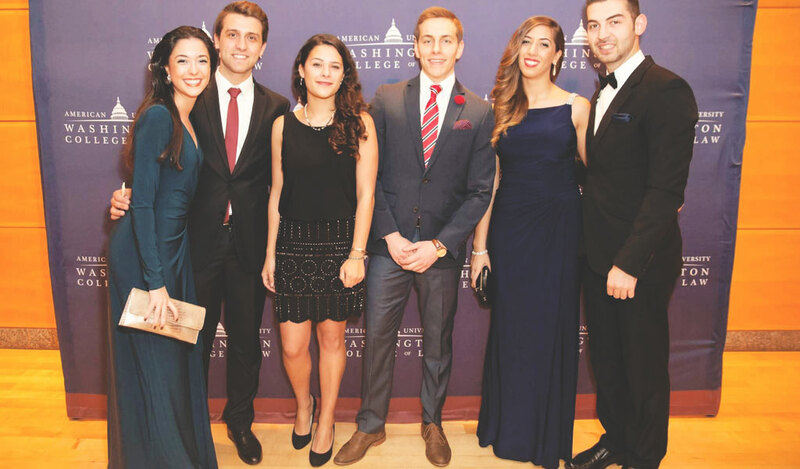 With over 190 students from 63 countries, the International Legal Studies Program at the American University Washington College of Law is one of the most intellectually and culturally diverse programs in the nation. The program incorporates a rich array of international law courses and seminars, experiential learning, and special events which allow our students to interact and network with esteemed faculty, international attorneys, diplomats, business leaders, and policy makers. Our recognized 24 full-time faculty members and 40 adjunct faculty members are leading practitioners in their field. Our diverse faculty have established strong alliances with various international, governmental, and nongovernmental organizations such as the World Bank, the World Wildlife Fund, the United Nations, the Robert F. Kennedy Center for Human Rights, the Inter-American Development Bank and regional organizations such as Central and East European Law Initiative (CEELI). A government of the people, by the people, and for the people means we need informed attorneys who can reinvigorate democratic practices and improve the rule of law. The American University Washington College of Law Master of Laws in Law and Government (LL.M.) will prepare you to grasp the issues that are at the intersection of law, politics, and all levels of government through a broad-based examination of public law in the United States. This is an LL.M. with a difference. 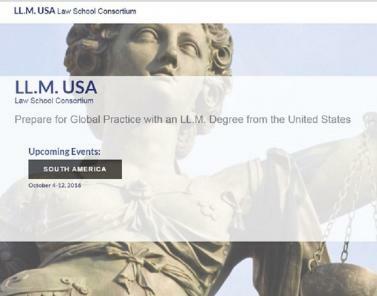 Designed for both domestic and international law graduates who have a strong interest in U.S. government and politics, the dynamics of democracy, and the meaning of the rule of law, the LL.M. in Law and Government takes students on a broad and deep examination of the most important public policy issues of the time. Our organizing educational principle is that the best prepared lawyers and analysts in fields of regulatory law not only have a firm grasp of particular subjects, but also a mastery of theories, political forces, and institutional realities that define public law in the United States. The LL.M. in Law and Government is designed for both domestic and international law graduates who have a strong interest in U.S. government and politics, the dynamics of democracy, and the meaning of the rule of law. 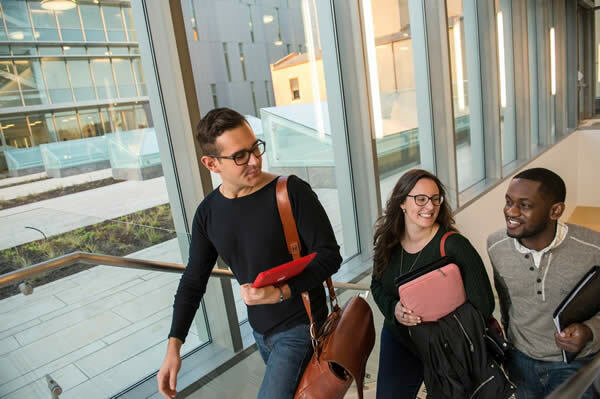 With 18 fields of study within the LL.M., the Program provides students with a competitive edge in fast-changing areas of law, government, and public policy. The International Legal Studies LL.M. Program at American University Washington College of Law in Washington, D.C. is one of the top programs in the United States and is renowned worldwide.